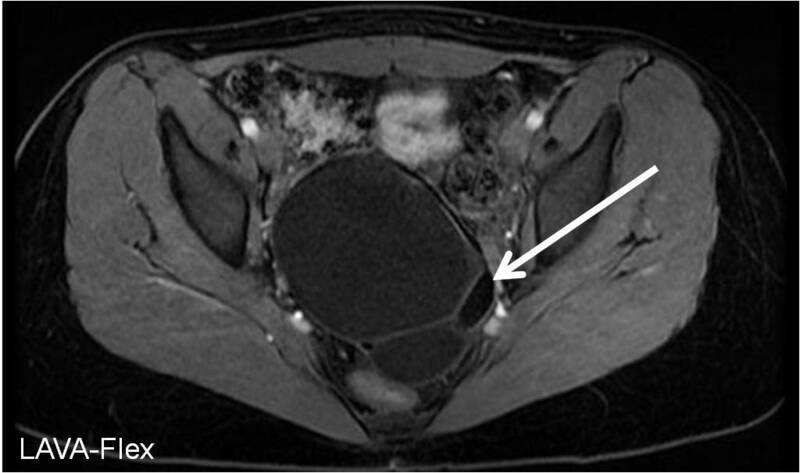 This is the appearance of an ovarian dermoid cyst on MRI, also known as a mature teratoma. The name teratoma gives a clue as to the histology of the dermoid cyst, usually containing parenchymal cell types from all three germ cell layers (mesoderm, endoderm, and ectoderm). The ectoderm components are those of typical skin structures, including hair and fat (as seen in the images above). 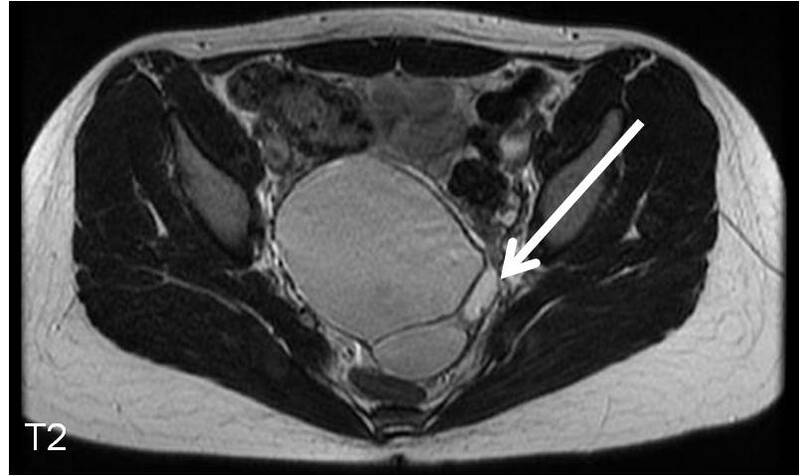 Dermoid cysts may also contain teeth. 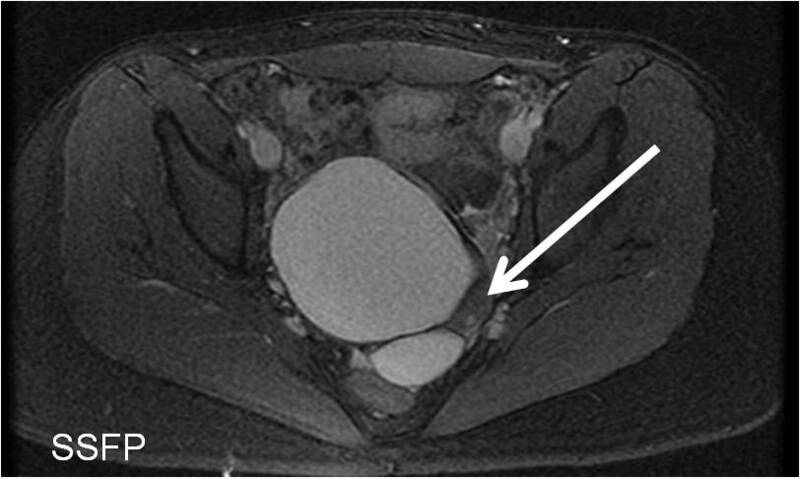 See an ovarian fibroma on ultrasound.